Up until now, the conversation on the issue of climate change has almost always been hopeful. In various rounds of international negotiations, we have looked into the future and said that if we cap global carbon emissions, we will be able to stall temperature increases. While the “if” part of that conversation has been the proverbial can that has been conveniently kicked down the road time and again, the tone has generally been optimistic. President-elect Donald Trump’s ascent to the White House is going to change things, however. While businessman-Trump, in 2009, had undersigned a full-page advertisement in The New York Times supporting President Barack Obama’s efforts to drum up a climate deal in the face of “irrefutable scientific evidence” at the then Copenhagen climate change summit, politician-Trump has called climate change, on separate occasions, a hoax, a Chinese invention, a fraud, something that doesn’t exist, and something he does not believe in. Given the power of the office he will assume in January, the let’s-solve-climate-change momentum will tip off at worst or be halted at best. The numbers don’t look good either. The Intergovernmental Panel on Climate Change, the leading international advisory body of scientists and climate change experts, published a report in 2013 in which it outlined the concept of a “carbon budget”. This budget contains the total amount of carbon—700 to 860 billion tonnes to be precise—that can be released into the atmosphere without increasing temperatures by more than 2°C above pre-industrial levels. The 2°C number is important because that, as has been noted in commentary in these pages, is the level beyond which the entire world changes irreversibly. Of the total carbon budget, humanity has so far emitted 550 billion tonnes since the onset of the industrial revolution in the 19th century. Which means we have only another 150-300 billion tonnes of carbon left to emit before we are likely to cross the 2°C threshold. For perspective, by 2014, the world was blowing through a net of 10 billion tonnes of carbon from the budget annually—giving us 15-30 years before we cross the point of no return. Three decades on the higher end may seem like plenty of time (which is a major reason why the can has been easy to kick down the road all this while), but it is not. Over 90% of carbon emissions come from the burning of fossil fuels, production of cement, and the burning of oil and gas in industrial plants. As our civilization is locked into these base systems for its energy and power needs, we cannot simply turn off a switch and stop emissions altogether. As is the global consensus on the issue, we are going to need to phase out our dependence on these systems with cleaner alternatives and hope that we can do it fast enough so as to leave some safety buffer in the carbon budget. That may not happen in the business-as-usual scenario. 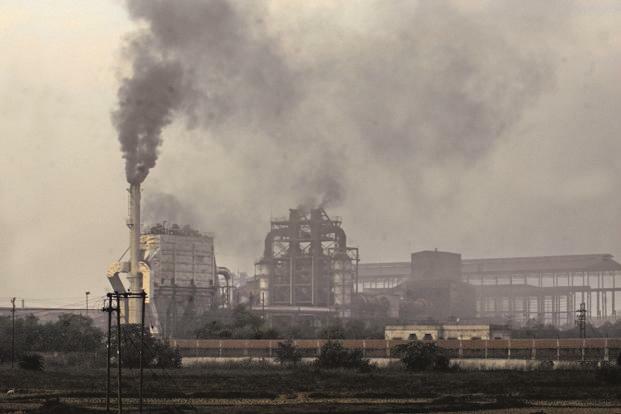 China, US, EU, and India, in that order, accounted for half of the world’s 10 billion tonnes of net annual carbon emissions in 2014. In order for us to make much-needed progress, this number needs to come down as soon as possible. However, in November 2014, China announced that its carbon emissions would continue to rise through 2030 and would level-off only after around then. That same month, the US pledged to reduce carbon emissions by 26-28% by 2025, but the programmes announced to complement those commitments did not match up. At best, the announced programs—commercial building energy efficiency programmes and the phasing out of ageing coal power plants—would have maintained US emission rates through the next decade. Given Trump’s proposed scrapping of the coal power plant phase-out programme and push for increased production of fossil-fuels, it can be safely assumed that US emissions are only going to head north. India has its own set of developmental priorities. While it currently accounts for 10% of annual global carbon emissions, it has one of the world’s lowest rates of per capita energy consumption given its large population. The average Indian consumes 25% of the energy consumed by an average Chinese and 7-8% of the energy consumed by an average American. To bridge these gaps, our reliance on fossil-fuels—and therefore our rate of carbon emissions—is only going to increase. Renewables are going to be a part of the solution, of course, but it is highly unlikely that India will become a 100% renewable-energy powered country in the next 10-15 years. As you can see the status quo just won’t work. We have to reduce the world’s annual carbon emissions so as to not exceed the total carbon budget, but no one is quite sure how that will happen—especially in the current geopolitical climate. We can already see climate change manifest itself in the form of record-breaking temperatures, frequent extreme incidence of weather, droughts, raging wildfires, unparalleled glacial melting, and recurrent cases of coastal flooding. The sad part is that this is only going to get worse. To borrow the metaphor used by former US Treasury Secretary Hank Paulson, we are “slowly flying on a collision course towards a giant mountain”. All this while it seemed like the mountain was far enough so as to give us enough time to alter course. But time is running out and we don’t seem to be very concerned about the impending crash.